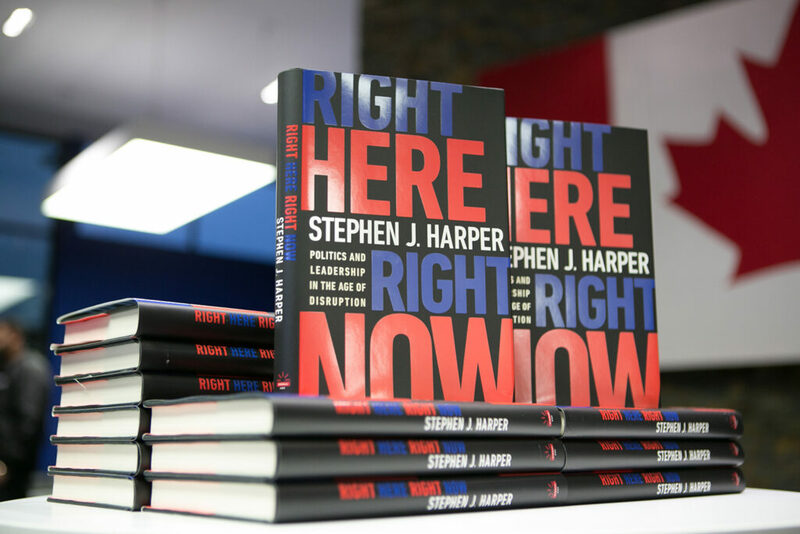 On Thursday November 1st, 2018 Miles S. Nadal and Peerage Capital were honoured to host Canada’s 22nd Prime Minister Stephen J. Harper for an intimate fireside discussion and book signing of Mr. Harper’s new publication, Right Here Right Now. Nadal warmly engaged Harper in a compelling and entertaining 45-minute exchange. 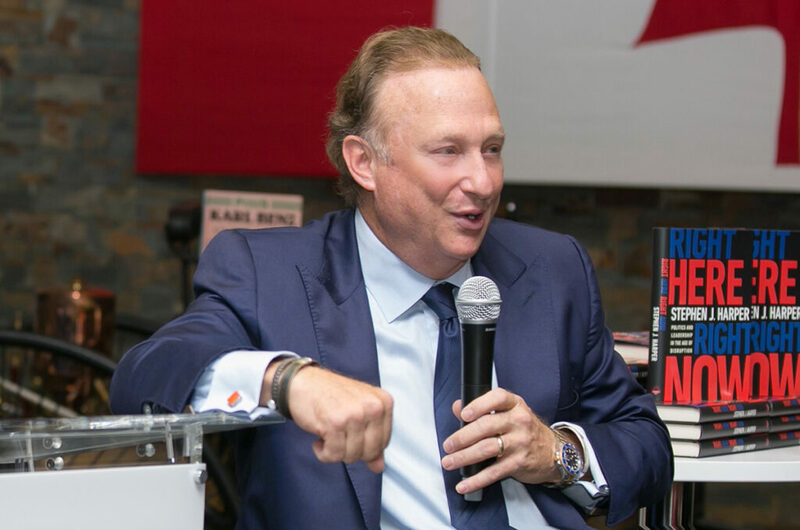 Their discourse included Harper’s time in office, the current Liberal government, the recent USCMA negotiations, his support of the Jewish community and some key elements from Right Here Right Now. 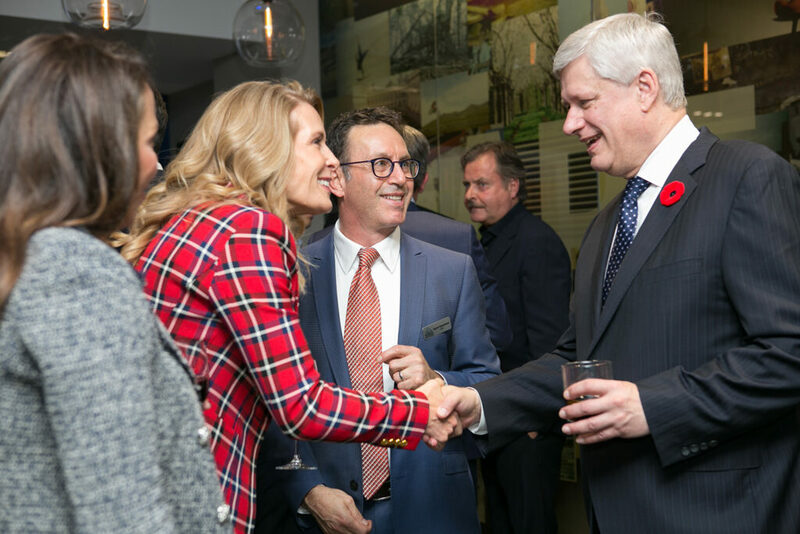 Harper congenially answered questions with insight and humour, showing a composed, yet relaxed nature. 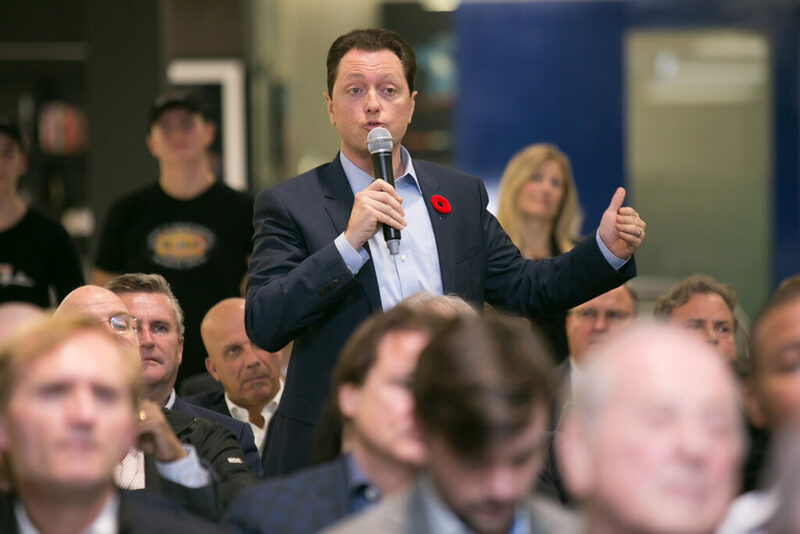 Following the fireside chat the audience had an opportunity to engage Harper with questions that ranged from personal to professional. 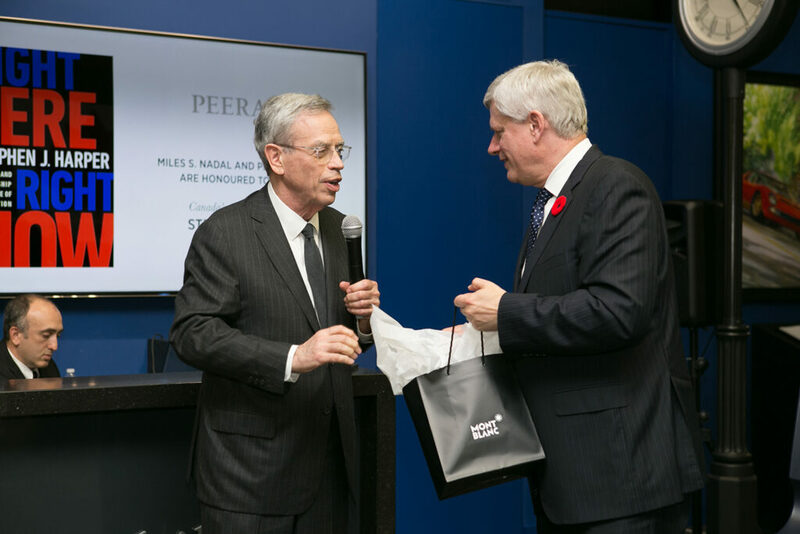 Former Finance Minister and now Echelon Wealth Partners Chairman Joe Oliver was given the honour of providing closing remarks. 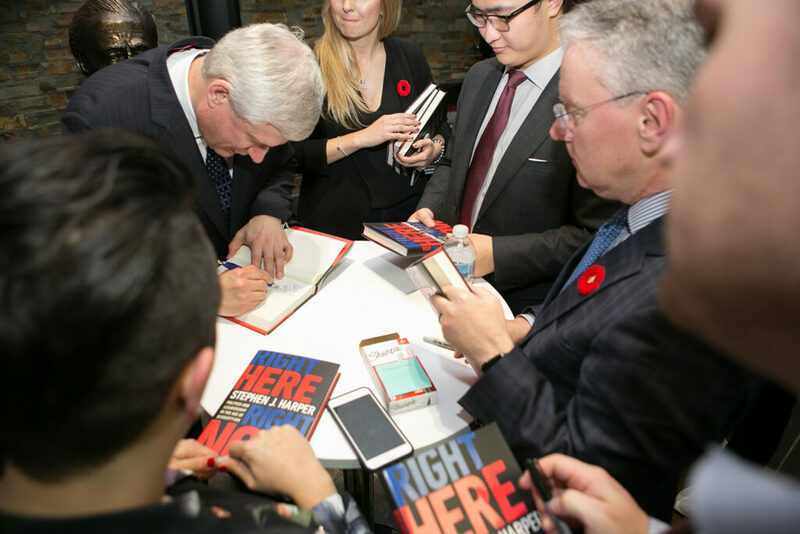 After the event, Harper stayed for a book signing of Right Here Right Now and posed for photographs with guests well into the evening. 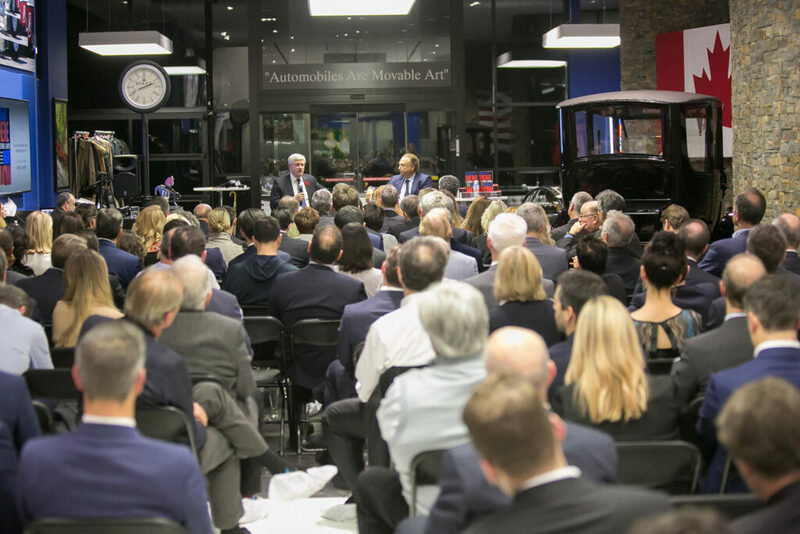 Attendees included personal friends and guests of Miles S. Nadal along with executives from Peerage Capital and its affiliated partners; Echelon Wealth Partners, ARS Investment Partners, Vestcap Investment Management Inc., Chestnut Park Real Estate Limited, Brokerage, Baker Real Estate Incorporated, Trolleybus Urban Development Inc. and Vaultra Self-Storage. Populist politics have gained prominence in many democratic countries as witnessed with the 2016 election of Donald Trump, the Italian elections, and Britain’s exit from the EU. This backlash is largely associated with the perception that traditional politicians are considered by many to be “elitist,” and are ignoring concerns surrounding economy, trade, immigration and nationalism. 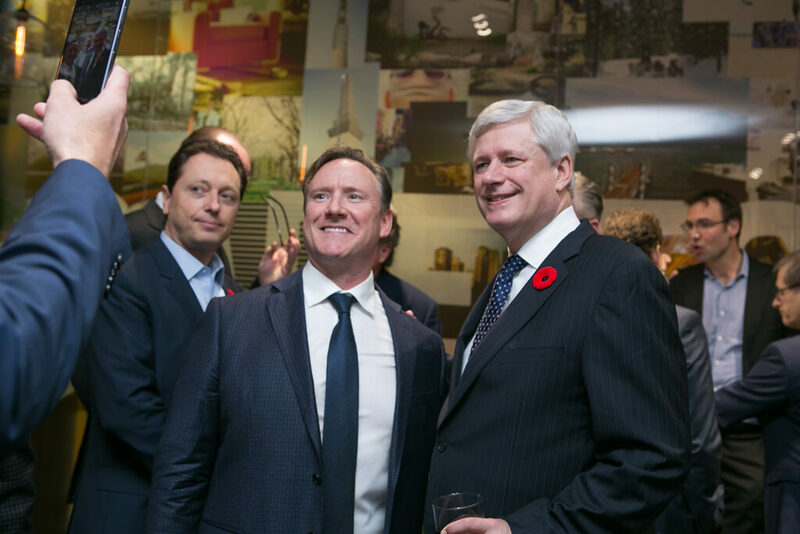 Harper projects that this populist movement will not abate until these issues driving it are effectively addressed. 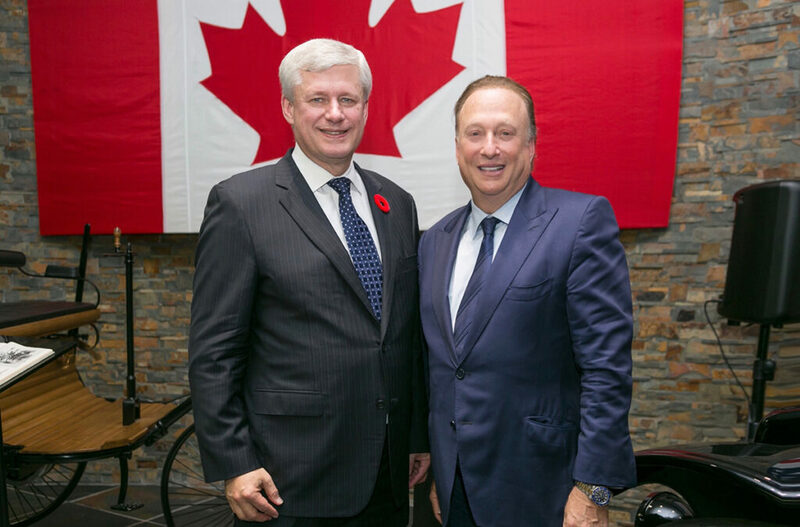 Harper concludes that Conservatives should build an agenda that is focused on the core issues that working people and their families are facing today, specifically; market economics, trade, globalization, and immigration. In addressing these, Harper contends Conservatives should remain pro-market, pro-trade, pro-globalization, and pro-immigration at heart. Utilization of a pragmatic application of Conservative values to better understand the issues in order to arrive at solutions that can be monitored to determine the true impact on people’s lives. If we fail to follow this path then a return to socialist policies and economics would likely be the outcome and take Western countries on a certain, irreversible, long-term decline.